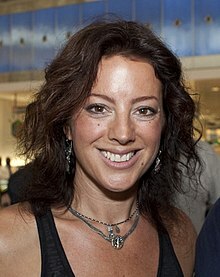 Sarah Ann McLachlan, OC, OBC (born January 28, 1968) is a Canadian musician, singer, songwriter, and pianist. Known for her emotional ballads and mezzo-soprano vocal range, as of 2009, she has sold over 40 million albums worldwide. McLachlan’s best-selling album to date is Surfacing, for which she won two Grammy Awards (out of four nominations) and four Juno Awards. In addition to her personal artistic efforts, she founded the Lilith Fair tour, which showcased female musicians on an unprecedented scale. The Lilith Fair concert tours took place from 1997 to 1999, and resumed in the summer of 2010. On May 6, 2014, she released her first album of original music in four years, titled Shine On. See for more.